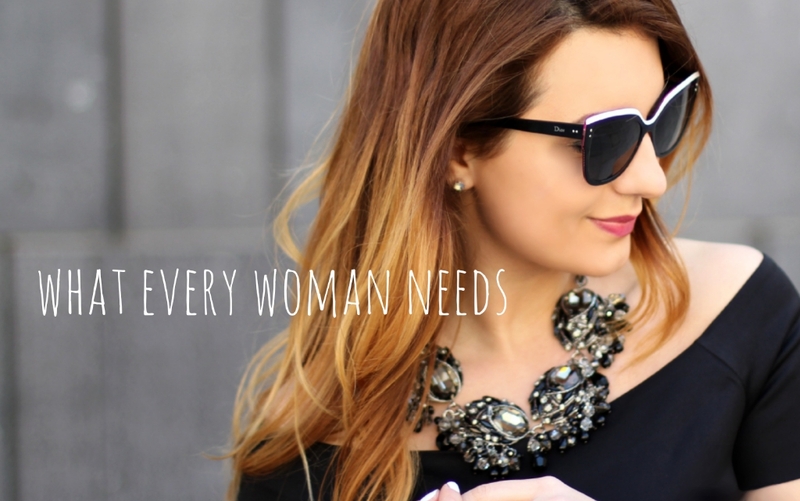 What every woman needs is a statement jewelry piece! They are stylish, fun to wear and boost’s one’s confidence. But what is “statement” jewelry? They are bold accessories that allow you to portray the unique and confident person that you are. But many women avoid wearing these bold pieces because it means stepping out of their comfort zone when it comes to their look. These bold and unique jewelry conveys a statement about the person wearing it, a statement to oneself. A statement piece of jewelry can range anything from necklaces, bangles and cuffs, to chandelier earrings and cocktail rings. Here are some tips to help you find the perfect piece of jewelry that will make the right statement for you. Size – statement jewelry are usually big and loud such as thick bracelets, bulky pendants which are common adornments and are intentionally made to draw attention. Not every statement jewelry has to be overbearing and not everyone can wearing an overly large jewelry so consider a personal size for you. Wear Only One – wear one piece of statement jewelry at a time. Less is more. If you are wearing chandelier earrings, you can either wear a gentle and delicate necklace/pendant or just rock a bare neckline. If you wear an obtrusive ring, stay away from bangles and cuffs. Wearing too many statement pieces at one time looks overbearing and have far too much going on that is becomes negatively distracting. There is a reason why they are called statement jewelry because of their powerful attraction. Gemstones and Vintage – gems speaks volumes of stylistic power and normally there is a special meaning and properties behind the gemstone. Choose a color and type of gem that best fits your own needs by the emotion it evokes. Vintage is a world of unique pieces that makes looking for a statement piece an easier job. They add sophistication to your look. Clothes – the obvious one of course. When wearing a grandiose piece of jewelry, stick to solids, faded patterns and pinstripes. Wearing bold patterns with statement jewelry creates confusion and a big clash when they meet. So stick to simple clothes and complement it with a piece of statement jewelry. As I said before, less is more. Make a statement! Every girl deserves to define their own style and stand out as individuals with their own statement jewelry piece. Choose adornments that will communicate the message you are trying to convey to others but don’t forget to add a that personal flair to what you wear.